So my advice–not to sound too crass–would be if you want some good fodder for a college essay this summer, get a job! 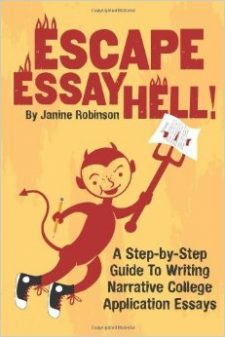 Read this post on Why Jobs Make Great Essays! A group of New York City high school students recreated Leonardo da Vinci’s “Last Supper” in Florence. The group spent a month in Italy this summer studying the Renaissance. For those who lack the means to pay for an essay-inspiring trip, at least one scholarship program exists to help. Ten 11th-grade New York City public school students won thePalazzo Strozzi Renaissance Award, which entailed traveling around Italy for a month this summer to study the culture, philosophy and arts of the Renaissance. The students were required to keep diaries and write a final essay, which the foundation said would be used with their college applications. Thanks for the post! I really like the idea of traveling abroad while studying. Creating a good essay and picking a topic is not an easy task.